Wingate Elementary School was the host of the fourth annual Camp Invention the week of July 16. The mission was to get local youth interested in the sciences by taking them through STEM-based curriculum that promotes science, technology, engineering and math. This year, 30 students from schools in Centre and Clinton counties participated in activities. 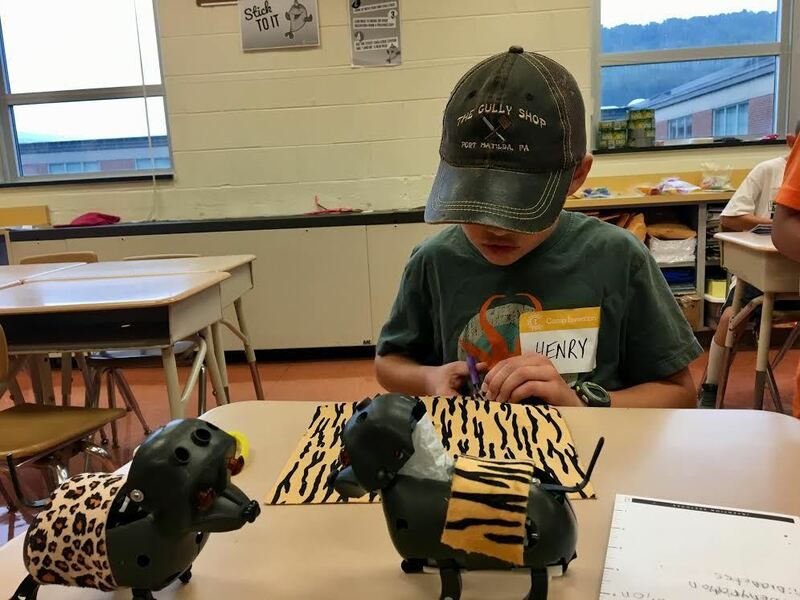 Camp Invention is a program through the National Inventors Hall of Fame that aims to engage kindergarten through sixth-grade students in a variety of science subjects. Some of the activities included Robotic Pet Vet and Optibot. Robotic Pet Vet allowed students to use tools to assemble and take apart a robotic dog. Taught around a veterinary theme, students were required to diagnose the malfunction of their robotic dogs using information on its symptoms. Optibot allowed students to operate a self-motorized robot that used a sensor that reacts to light. The students designed a track and used the auto-bot to navigate it. Other activities included Mod My Mini Mansion where campers designed futuristic smart homes; and Stick To It, which allowed students to design a variety of gadgets that fit into engineering, physics and entrepreneur studies.